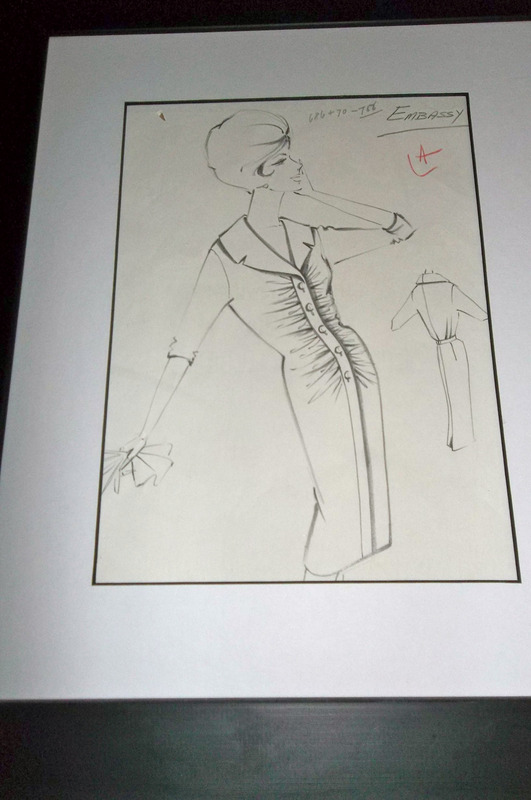 Item: This is a design sketch from the 1950s from the W & O Marcus fashion house which manufactured in Hawick between the 1940s and 1960s. The factory opened in Hawick in the 1940s, when the house moved production out of London during the Blitz. By the middle of the decade it employed around 180 staff in the town, and production continued until the 1960s when the cost of shipping materials and goods by rail became too high.It manufactured exclusive ladieswear and supplied clients such as Harrods, Fortnum and Mason, Selfridges and Jenners under the couture brand ‘Marcus’ and the ready to wear brand ‘‘Marcusa’.